Are you living with MS? Take the opportunity to have a break from day to day life and try new experiences and challenges in a fully accessible environment. With a variety of activities to choose from, your stay can be as action-packed or as relaxed as you like. Enjoy the choice of accessible accommodation that suits you, freshly prepared meals and indoor and outdoor activities. Vicky Foster attended an MS Week in June 2018 and loved her stay, finding a new lease of life during her trip. "I could not recommend Calvert Kielder any more highly – all abilities are catered for. I visited the MS week with my able-bodied Husband and it was the first time in years we could participate equally in the same activities. Every experience was new to me and because of the professionalism and outstanding attitude of the Staff I had no fear and embraced every activity with great enthusiasm. My self-belief at the end of the week was soaring and the ethos of ”no limits or barriers” really resonated with me – I exceeded all of my personal expectations which left me believing the only limitations are what you set yourself. 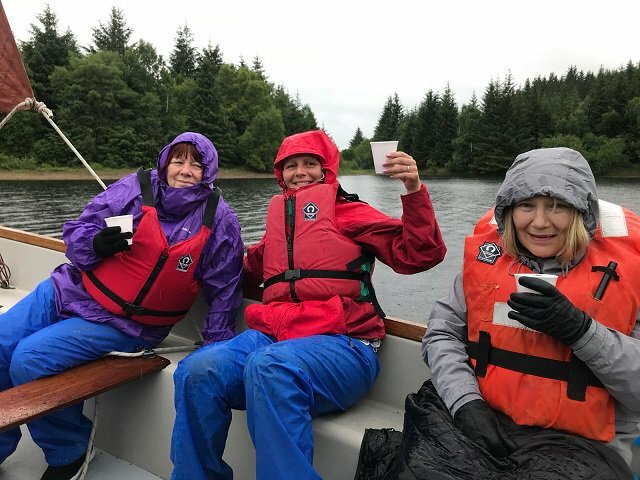 Thank you Calvert Kielder for restoring my zest for life and boosting my confidence – I now feel like a participant again rather than a passenger. I have got my mojo back. Will definitely be returning, if you'll have us!" WHO FOR: For people living with MS together with their family, friends and carers. WHERE: Calvert Kielder, Kielder Water & Forest Park. DATES: Monday 10 June to Monday 17 June 2019. COST: From £825 per person per week.